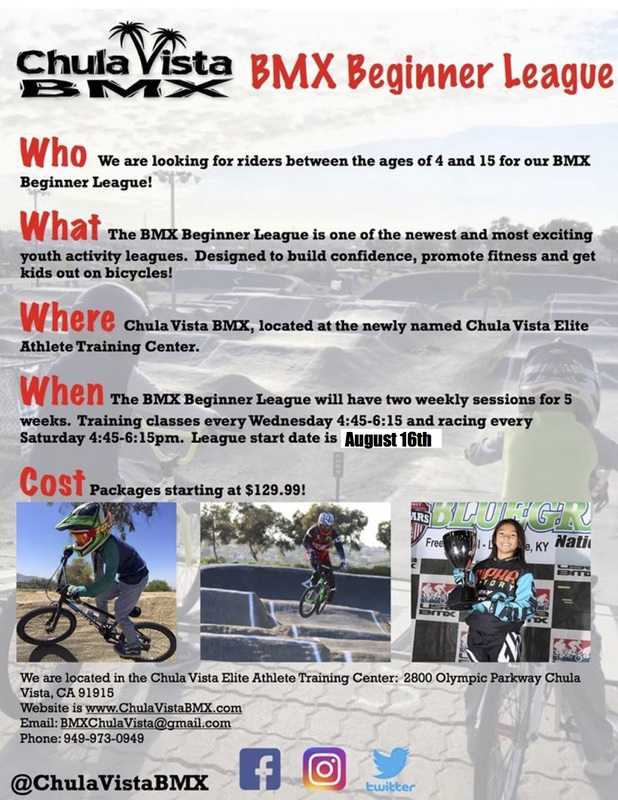 Chula Vista BMX Beginner League! We want to welcome all new riders out to our BMX Beginner League. This is one of the first in its kind for BMX racing and we are proud to offer you this opportunity! The League will kick off Wednesday August 16th at 4:45 with training classes every Wednesday and racing starting Saturday August 19th at 4:45 for 5 weeks! The only league requirement is that you need to be able to ride a 2 wheel bike.